A three-car crash killed a teenage driver near the intersection of Moon Lake and Oconee. According to the Florida Highway Patrol, a 19-year-old woman was northbound on Moon Lake in a 2008 Hyundai Accent. A 25-year-old woman was in a GMC Sierra waiting to cross Moon Lake and turn left. As she waited, a 23-year-old woman approached the intersection in a Ford F-150. For some reason, this 23-year-old woman did not see the 25-year-old until almost the last minute. The former tried to avoid the crash, but she rear-ended the latter. The force of that impact pushed the Sierra into oncoming traffic. 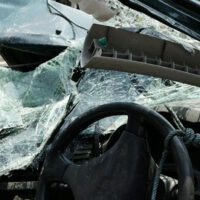 The 19-year-old woman smashed into the passenger side and died almost instantly. Authorities say that charges may be pending in this case. There need not be a direct relationship between the vehicle collision and the victim/plaintiff’s injuries. Instead, there need only be a foreseeable relationship between these two things. There is a significant difference. The above-described crash is a good example. The F-150 driver probably never saw the victim’s car or had any idea that such a collision could occur. Yet the F-150 driver is still legally responsible for this victim’s wrongful death. It is foreseeable that a rear-end crash could push a vehicle into oncoming traffic. However, if a doctor makes a medical mistake while treating the victim, that injury is not foreseeable. This long-standing rule comes from Palsgraf v. Long Island Railroad Company. The case is a law school classic. It contains an important rule as well as facts that seem like they came from a Netflix series. Ms. Palsgraf and her daughters were waiting for a train to Coney Island. As they idled on the platform, a late-arriving passenger tried to board a departing train on the other side of the station. In classic Three Stooges styling, one railroad worker tried to push the man into the car from behind while another one pulled from inside. In all the jostling, the portly passenger dropped a package. That package contained fireworks. The fireworks exploded and caused a shock wave. That shock wave knocked over some scales onto Ms. Palsgraf. Did you get all that? The court later held that the railroad was not responsible for Ms. Palsgraf’s injuries, because they were not a foreseeable result of the workers’ negligence. In a dissenting opinion, another judge posited the “zone of danger” theory, under which Ms. Palsgraf would have had a case against the railroad. Some Florida courts still use the zone of danger rule in some cases. This defense, which is an offshoot of the contributory negligence defense, often rears its ugly head in head-on and rear-end crash cases. The biggest difference between contributory negligence and last clear chance is that the former only reduces the victim/plaintiff’s recovery. But last clear chance, if successful, torpedoes the victim/plaintiff’s case altogether. Essentially, if a Florida victim has a reasonable chance to avoid a crash, perhaps by stopping or changing lanes, the tortfeasor (negligent driver) is not responsible if the victim does not avoid the crash. In the above story, it appears that the Sierra driver saw the F-150 driver. So, the defense might apply. However, there is a big difference between the last clear chance and any possible chance. Many times, traffic and other conditions make it very unsafe to change lanes quickly or perform some other emergency maneuver. Intersection collision cases often give rise to complicated legal issues. For a free consultation with an experienced personal injury attorney in Tampa, contact The Matassini Law Firm, P.A. We routinely handle cases in Hillsborough County and nearby jurisdictions.